One of my favorite things about the holidays are all of the amazing gift baskets. No, I don’t mean the ones with the proverbial fruit-cake. I mean the ones that are chock full of some of my favorite things to eat. 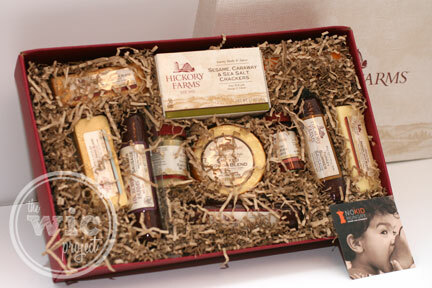 I love gift packages just like the Hickory Farms Party Planner Gift Box. The Party Planner Gift Box is Our Signature Party Planner gift is a flavorful array of our savory Summer Sausage and smooth and creamy cheeses with all the trimmings. With every one sold this year, we will donate $5 to Share Our Strength’s No Kid Hungry ® Campaign. Hickory Farms is consistently a go-to gift for me every year. Not only do they have a wide variety of gift packages and prices to choose from, but there’s a confidence in know that with Hickory Farms, I am sending the best quality sausages, cheeses, fruits, or other tasty morsel as part of that gift. The Party Planner Gift Box is no exception. The gift box has 3 different sausages, 5 types of cheeses, a box of crackers, and two tasty spreads. The Signature Beef Summer Sausage is always one of my favorites. It just has a great blend of meaty-flavor with spices and peppers that are completely distinct to Hickory Farms. I like making mini sausage and cheese sandwiches from the sausage, cheese and crackers in the gift box. That’s probably why this is the party planner gift box. You can slice everything, place it out, then people can mix and match their favorite sausage and cheese blends, and enjoy! One of the things that makes the Hickory Farms Party Planner Gift Box even better, is that it is a gift that gives back. 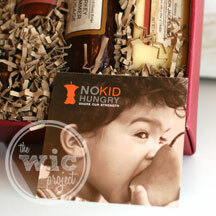 For every Party Planner Gift Box sold, Hickory Farms makes a $5 contribution to Share Our Strength’s No Kid Hungry Campaign. You can have that extra good feeling of knowing that not only did you give your friend or loved one an excellent gift, you also helped to the support the efforts to end child hunger in America. If you’re looking for the perfect gift for your parents, friends, or even co-workers, check out the variety of boxes available through Hickory Farms. Whether they’re meat-, fruit-, or sweets-lovers, there’s just the right gift box from Hickory Farms. 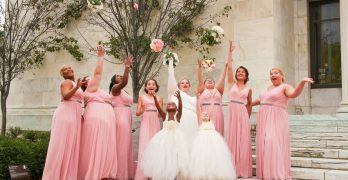 The Hickory Farms Party Planner featured in this post retails for $45 on HickoryFarms.com. One winner will receive the Hickory Farms’ signature Warm and Hearty Welcome Gift Box! I like the Savory Cheese Collection. My daughter has been wanting some of their sausages. I like the Orchard’s Bounty Gift Basket. Their Beef Summer Sausage looks good! So does all their food though! The Hickory Handyman Tool Bag is adorable! My favorite is the beef summer sausage. I have always loved the summer sausage! My favorite Hickory Farms product is the Orchard’s Bounty gift basket. My favorite is the Grand Artisan Gift Basket. Thanks for the giveaway! beef summer sausage is always a favorite around here! Hickory handyman tool bag you can not go wrong with sausage snacks, summer sausage and cheese. For dessert heavenly fudge assortment. I love Hickory Farms Summer Sausage! Yum! I love the Summer Sausage its the best! The Peppermint Snow Mint Cookies. Yum!! …Hands down.. the Sweet Hot Mustard! It has been my favorite every since 1979!!! Their sweet hot mustard is great on sandwiches. I like their Summer Sausage and Cheese basket. I like the beef summer sausage. I love the beef summer sausage! Summer Sausage & Cheese baskets are my favorites. I love the sweet hot mustard! I like their summer sausage & cheese. I think the Party Planner Gift Box looks great! I love cheese and sausage 🙂 Thanks for the chance! I love there summer sausage. I love their Summer Sausage. We usually buy a couple packages during the winter and eat it with soup! Yum! I like the smokehouse selection. I would give this as a gift to my Dad. He loves this type of food. My favorite item is the spiral sliced honey gold ham! My favorite is the Fruit & Cheese Fest Gift Box. I like the summer sausage and cheese! I love the Smoked Chedder Blend! My favorite would have to be the thin peanut brittle! definitely! I love the Summer Sausage & Cheese Gift Box, because their summer sausage is my favorite! I love all the cheeses I cant pick just one. I like the dried fruit collection. i love every one of their products that i have tried so far! the cheeses are my favorite!!! I love LOVE their Sweet Hot Mustard! Summer sausage is a household favorite! Thanks! They really do make the best Beef Summer Sausage, which is my favorite. Thank you for the chance to win! Hickory Frams really has the best Beef Summer Sausage. That’s my favorite. Thank you for the chance to win! My favorite is the Summer Sausage and Cheese box. I love their meltaway mints. I like the party planner box. My favorite is the Beef Summer Sausage! really thou is life worth living without hickory farms summer sausage?? I like their Smoked Cheddar Blend. My fav is the beef summer sausage! Thanks for the giveaway! I really like the Perfect Picnic Gift Basket. My favourite Hickory Farm products are their Spiral hams. They’re delicious. Their beef summer sausage is another favourite. The Honey Gold ham is great. My favorite Hickory Farms product is their Cranberry Mustard which is not sold online unfortunately. Famously Thin Peanut Brittle 1 lb. Summer sausage is my favorite. The Hearty Welcome Snack Tower looks awesome. I like the Family Gathering Gift Basket! My family loves the plain ole sausage stick…it is always so yummy. summer sausage is my favorite! The summer sausage is yummy. Beef summer sausage with sharp cheddar! There is no better eating than their HOney Baked Ham! Oh boy I love them. my favorite hillshire farms product is their summer sausage. YUM! I like the Grand Gift Snack Tower. The summer sausage trio gift basket is my favorite…yummy! I like the Traveling Snacker. I love the Summer Sausage and cheese. I like the Honey Gold ham. My favorite is the Holiday Treasure Chest. I love the Hickory Farms summer sausage. I love hickory farms spreadable CHEESE !! I like their Wild Game Meat Sticks. I like their Pary Planner Gift Box. I love the Heavenly Fudge Assortment. I like the fruit and cheese fest box. I would like the Summer Sausage & Cheese Gift Box. I like the Heavenly Gourmet Fudge Assortment! Happy holidays! Thanks so much for the fantastic giveaway! My favorite is their English Almond Toffee Heavenly Fudge. i love the summer sausage and cheese gift box. I love their Summer Sausage! Thanks. I like the dried fruit collection! I like the Pary Planner Gift Box. The Spiral Ham would be amazing! My favorite is the peppermint snow mint cookies. I like the Heavenly Gourmet Fudge Assortment..
Love the sharp cheese ball. Have to buy them every year. Their Heavenly Gourmet Fudge Assortment is great! Thanks for the giveaway! My favorite product is the Hickory beef with ANY of their cheeses mmmmmmmmm. I like the Summer Sausage and Cheese Gift box! Their Traveling Snacker looks reaaly cute and useful. My favorite is their cheddar cheese! love to have the snack tower! The Heavenly Gourmet Fudge Assortment. I like the eef Log Lite- it’s very good and flavorful. I am old school I love love the summer sausage! My favorite is the “Beef Summer Sausage”. The original cheese ball has always been my favorite. I love their summer sausage! Summer sausage and cheese basket. I ordered the jumbo cashews once, and we loved them. My favorite is the Perfect Picnic Gift Basket ヅ *Thanks* for the giveaway! My fav from them is always their honeygold ham! yum…. I love their summer sausage and cheese. My favorite Hickory Farms item is their Spiral Sliced Honeygold Ham. Yummy! I love their summer sausage and cheese gift basket. We love their summer sausage. I like the Family Gathering Gift Basket too! I love their dried frutis! -Our Signature Beef Summer Sausage 26 oz. I like the Summer Sausage and Cheese Gift Box. I love their beef summer sausage! Pick a favorite? Impossible. I love all Hickory Farms. I love their summer sausages and cheeses, would love to have the Grand Artisan Gift Basket. the fruit and cheese fest looks yummy! I’d like to try the dried fruit assortment.